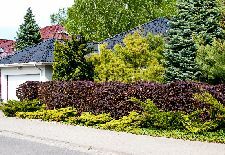 The location should have soil that is well drained, since standing water will easily kill the trees. 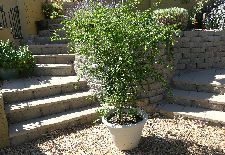 The location should also have good air drainage, keeping low-lying cold air in the spring away from the tree. The location used for planting cherry trees should also provide for full sun access. 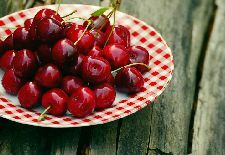 If planting cherry trees in a lawn, the grass should be removed from the planting area in a four-foot diameter circle, to prevent the grass from competing with the young tree for nutrients and water. Once the site is selected, the first step in planting cherry trees is to dig the hole. The hole should be approximately twice the diameter of the root system, and two feet deep. The soil should also be loosened up around the border to allow the roots to break through more easily. 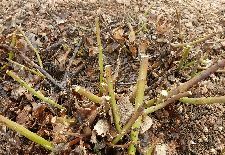 The roots should be spread out on the loose soil, ensuring that they are not twisted or crowded. Soil should be placed around the roots and pressed down firmly, to remove any air pockets. When planting cherry trees, it is important to ensure that the location of the graft is at least two inches above the soil. This will ensure that no roots will grow out of the scion. 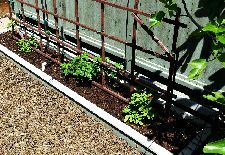 When finished planting cherry trees in the garden, watering will remove any extra air pockets in the soil. A newly planted cherry tree may need to be supported with a stake until the roots can take hold.